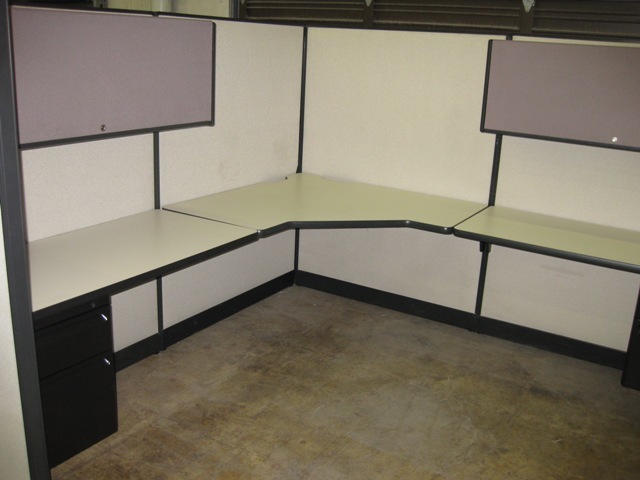 Description: (255) GORGEOUS GEIGER CUBICLE STATIONS, AVAILABLE NOW! ASKING $399.00 EACH, WE WILL STEAM CLEAN, PACKAGE & LOAD ONTO YOUR TRUCK INCLUDED IN PRICE. WE WILL ALSO PROVIDE A SKETCH & PARTS LIST. C.. 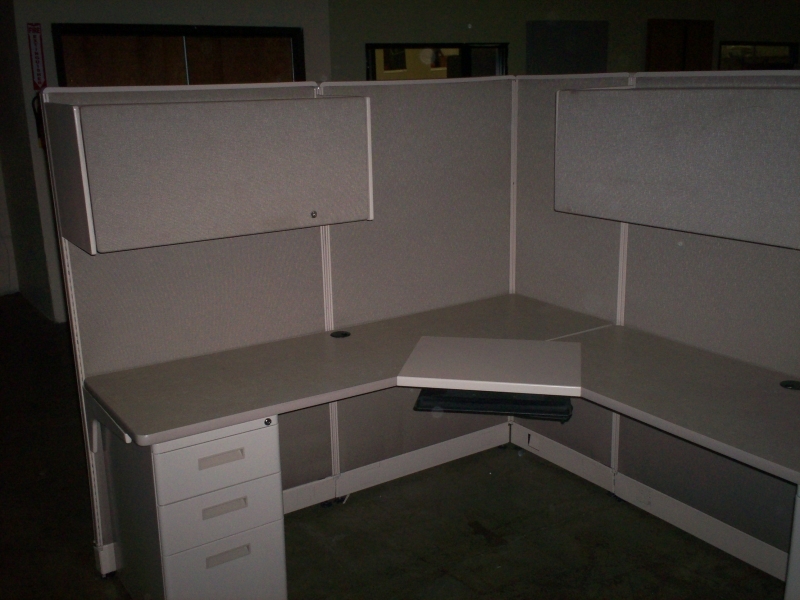 Description: Haworth: 280 6x6 Haworth 6x6 42" high workstations. Comes with 1-bbf pedestal and 1 Haworth Acclode chair. Trim is TR-E Smoke and the fabric is verona SF-AE Tosta&n.. 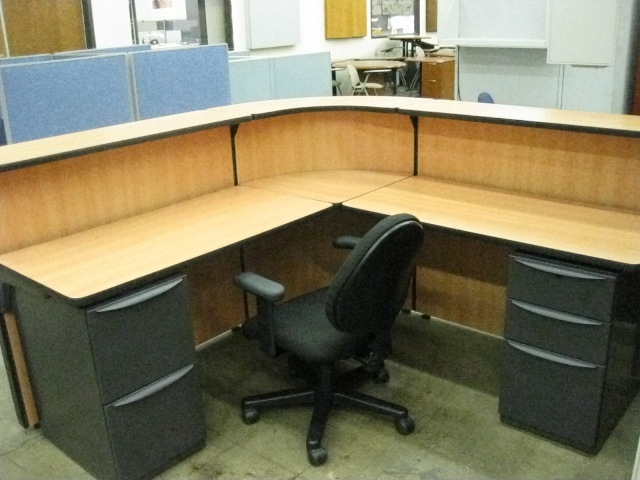 Description: WE HAVE (21) HAWORTH UNIGROUP STATIONS IN GOOD, PRE-OWNED CONDITION. 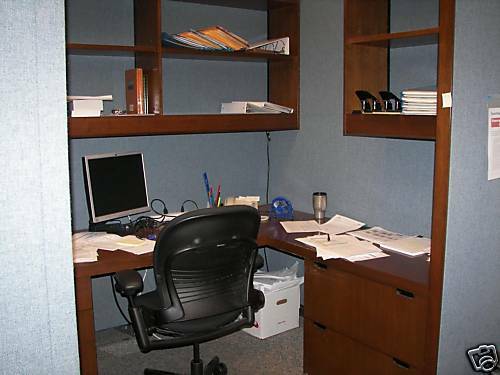 SOME W/ 1-2 OPEN BOOKSHELVES, 1-2 PED FILES, ALL STATIONS POWERED IN THE SPLINE WALL. LIGHT GRAY PANEL FABRIC, WORK SURFACES, .. 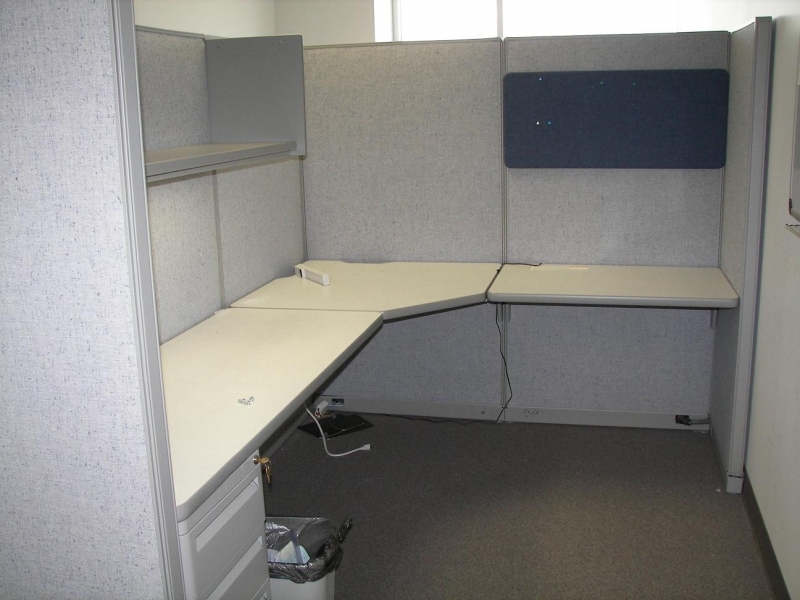 Description: WE HAVE UP TO (20) ALLSTEEL CUBICLE STATIONS, IN VERY GOOD PRE-OWNED CONDITION. EACH W/ OVERHEAD FLIPPER BINS W/ TASK LIGHTING, (1-2) PED FILES, ALL STATIONS POWERED IN THE SPINE WALLS. THESE ARE READ.. 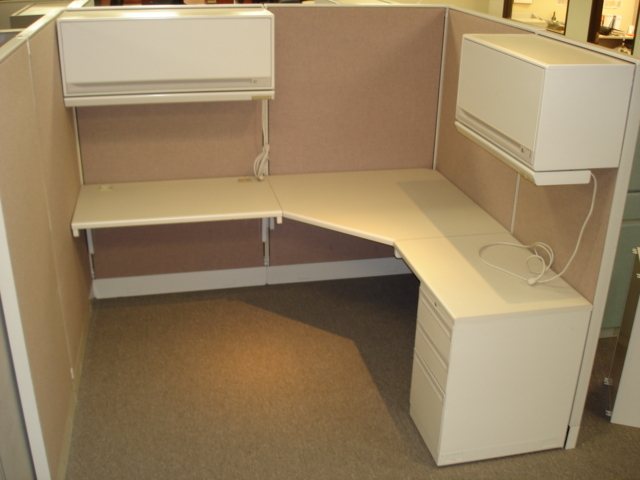 Description: 32 stations with a 67" splins wings drop down to 53" 6'x8' foot print Allstiel consensys in Tan. 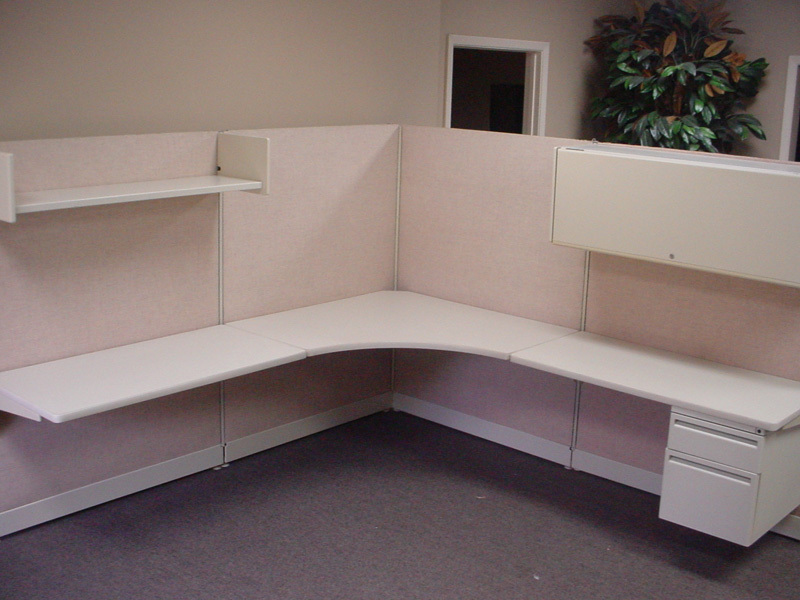 Each Station lncludes 2 work surfaces 1- 30"x72" 1- 24"x72" tan laminate. BBF file and a 48" over head .. 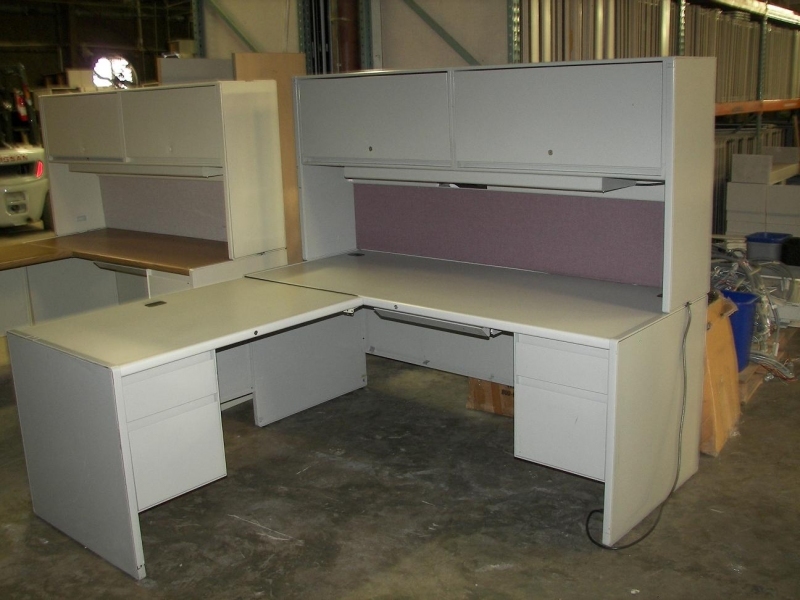 Description: WE HAVE (145) STEELCASE CONTECT STATIONS AVAILABLE NOW! 66"H PANELS. ALL HAVE (2) OVERHEAD FLIPPER BINS W/ TASK LIGHTING, (1) FULL PED FILE, (1) 2DR. 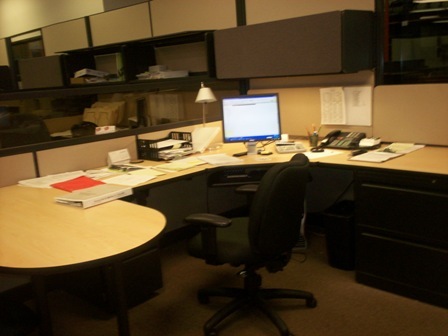 LATERAL FILE, (1) KEYBOARD TRAY, (1) CENTER .. 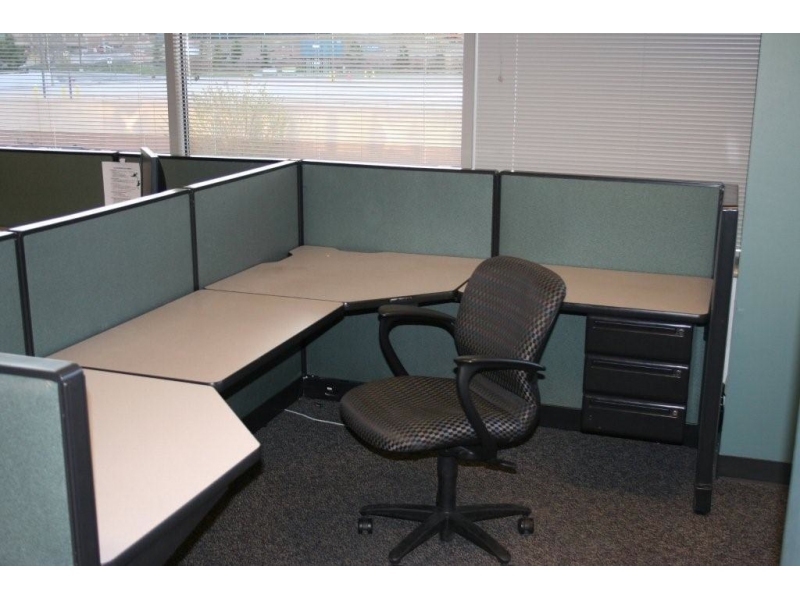 Description: WE HAVE UP TO (18) HAWORTH UNIGROUP STATIONS AVAILABLE NOW! , PACKGING & LOADING ONTO CUSTOMERS TRUCK. 64"H PANELS, MOST STATIONS ARE .. 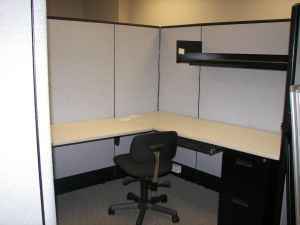 Description: Gently used Steelcase Avenir office cubicles 6x8 office cubicle size 65” panel height along with some 44” tall panels for areas where you have windows and would like to have a low panel for natural li.. Description: Haworth Power Base 120+ stations 6’x 7’ typical 64” high 1 flipper door 1 shelf W/BBF & FF Approx 2 years since remanufactured by Garco Panel fabric – Guilford- Groove Mocha 3497-040, Trim – Sand,.. 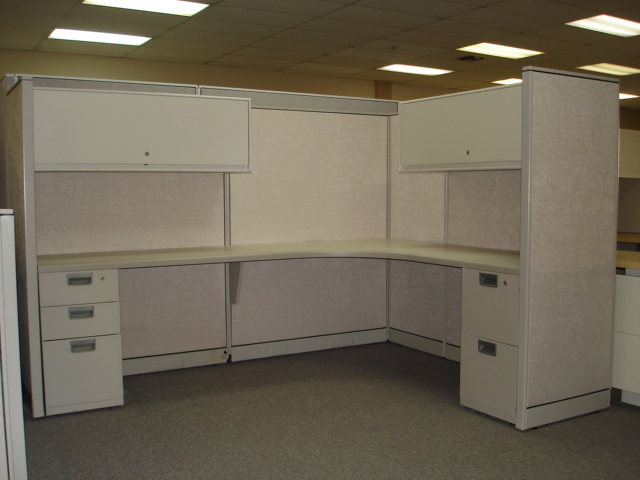 Description: 500 Allsteel 8000 Mega Base 6x6 or 6x7 office cubicles 68" panel height. 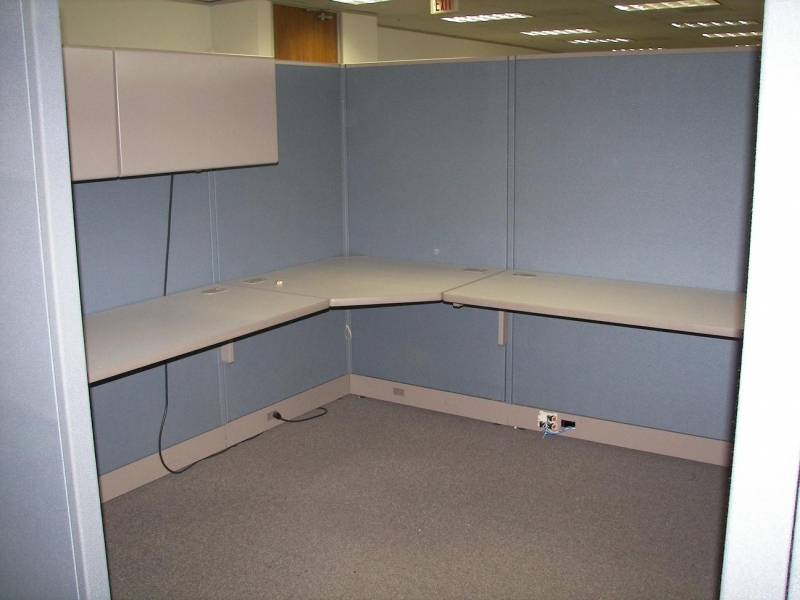 Each cubicle consist of (1) 42" corner worksurface. (2) 30x24 straight worksurface. (1) box/box/file storage pedestals (2) 30" b.. 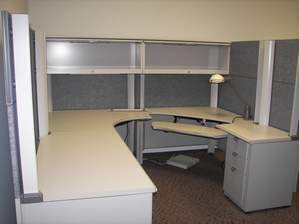 Description: Refurbished office cubicles Allsteel 8000 Mega Base. 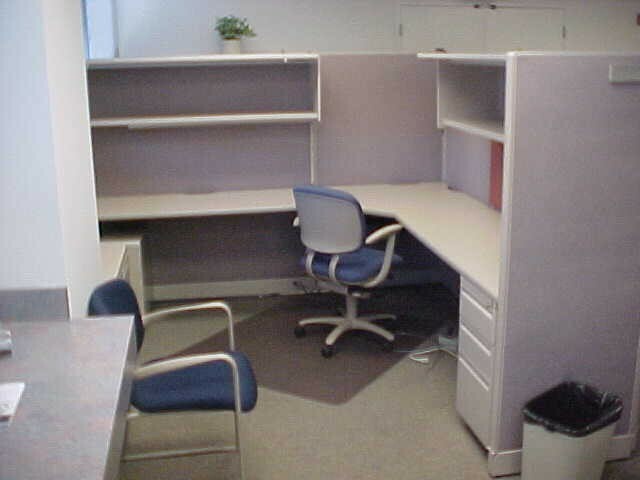 You have 3 choices of refurbished office cubicles size. 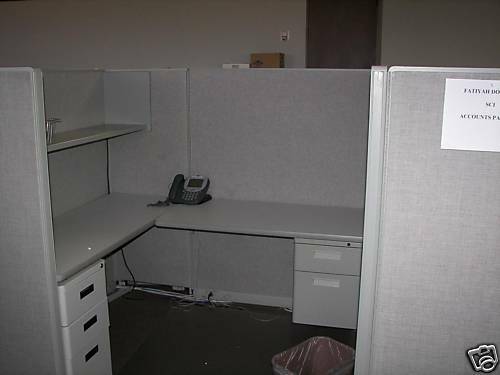 6x6 refurbished office cubicles, 6x7 refurbished office cubicles, or 7x7 refurbished office.. 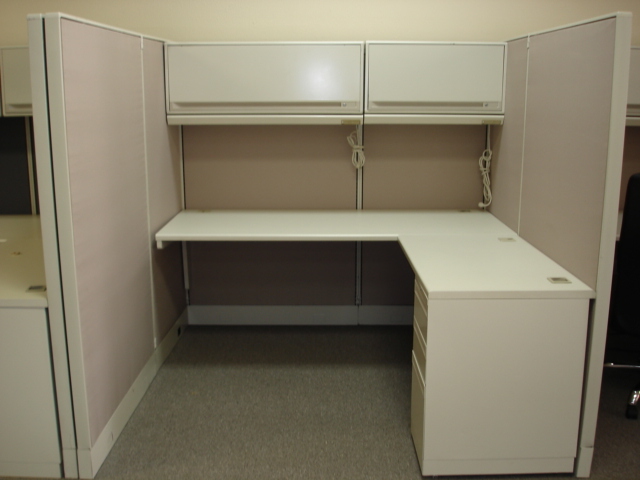 Description: 225 8x8 Haworth places stations 1-overhead 1-open shelf 2 box file peds &nbs.. Description: WE HAVE (16) TRENDWAY STATIONS READY TO GO NOW! ALL ARE POWERED, LIGHT GRAY PANEL FABRIC, & BLACK TRIM WORK . GOOD PRE-OWNED, AS IS CONDITION. WE WILL PACKAGE & LOAD ALL (16) STATIONS ONTO YOU..